Have you ever wondered how listening to music would have been like had the audio compression format called MPEG-1 Audio Layer 3, or MP3, not been invented? Since its introduction in early 1994, the growth in popularity of MP3 songs has been phenomenal, thanks to its ease of creation and advent of players like Winamp. Even today, in spite of numerous other compression formats, MP3 continues to be the most used music format. And I resume the Song A Day series after a long gap with a song that was, quite literally, the harbinger of the MP3 revolution, and earned its singer the moniker “Mother of the MP3”. was never really involved in them. 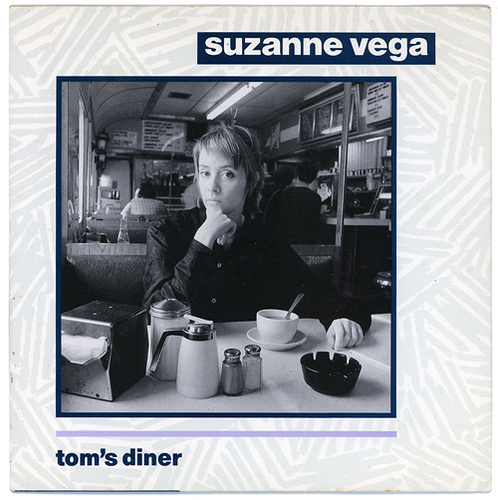 This gave her the idea for a song, and on a cloudy morning in late 1981 or early 1982, Suzanne Vega sat in Tom’s, looked around her, and thought, “well, if I were Brian today, how would I be perceiving these different things?”. And Tom’s Diner resulted. Vega wrote Tom’s Diner imagining a piano playing in the background while she sang the song. Unfortunately for her neither did she play a piano nor was she acquainted with any pianist, hence Vega ended up recording Tom’s Diner as an a cappella piece. Quite a good idea as it turned out. The soliloquious tone of the song’s lyrics is best conveyed in the a cappella version itself, Vega rendering the song as though reciting a poem. And the same vocal quality caught the attention of Karlheinz Brandenburg once when he heard Tom’s Diner on radio. Those were the days he was fine-tuning his compression algorithm that would later become MP3. He heard the song and knew that “it would be nearly impossible to compress this warm voice”. Since the song depended on very subtle nuances of Vega s inflection, the algorithm would have to be very, very good to select the most important parts of the sound file and discard the rest. 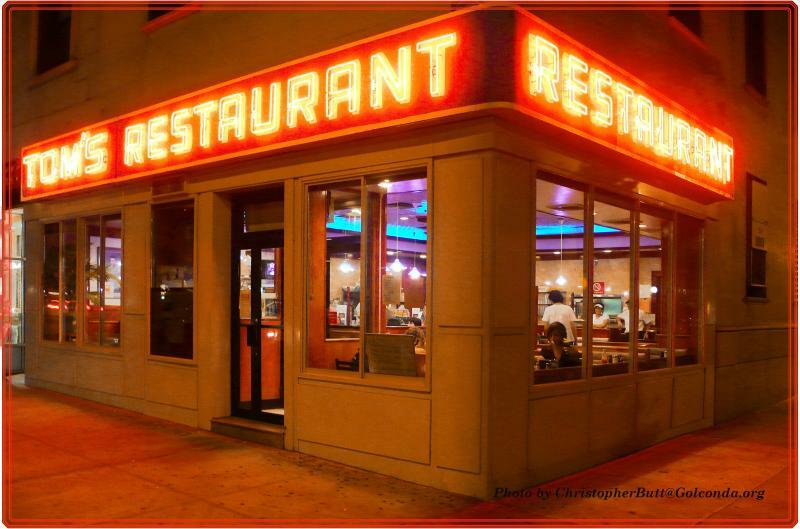 Brandenburg started using Tom’s Diner as the testing ground for each refinement of his system, and wound up listening to the song thousands of times! (As it appeared on the now defunct magazine Business 2.0). This incident earned Vega an informal title of “Mother of the MP3”. Tom’s Diner was first released as a track in Jan 1984, but the first time it was featured as part of any album was in Vega’s Solitude Standing which came out in 1987. However it took three more years for the song to attain international success. Two British dance-music producers Nick Batt and Neal Slateford who went by the name DNA, came out with a remix of Tom’s Diner in 1990 without Vega’s permission. The song went on to become a huge hit, topping all music charts. More bands followed suit. Vega, seeing the increasing number of remakes, compiled all the hit versions of Tom’s Diner and came out with Tom’s Album in 1991. Apart from the numerous covers that Tom’s Diner spawned, a number of artists have sampled the original loop in their works. Some of the major ones include Sarah Connor‘s French Kissing, Know That by Destiny’s Child, Lean by Will Smith and Ludacris‘ Playpen To The State Pen. People from the South would, on hearing the tune, get instantly reminded of an ad from the 90s for the now defunct biscuit company called Craze. The ad used the exact loop for its soundtrack, and was rendered by Ravi Khote if I am not wrong. The composition has been credited in many places to A R Rahman though I personally find it impossible to believe that a person as resourceful as Rahman could have done such a blatant lifting for the ad of a non-descript company like Craze biscuits. We leave you as usual with a few videos pertaining to the song, the first one even having a quote by the singer. Enjoy! « Up close with the Khanabadosh man..